Of the many challenges that society faces today, possibly none is more acute than the security of ordinary citizens when faced with a variety of natural or man-made disasters arising from climate and geological catastrophes, including the depletion of natural resources, environmental degradation, food shortages, terrorism, breaches of personal security and human security, or even the global economic crisis. States continue to be faced with a range of security issues arising from contested territorial spaces, military and maritime security and security threats relating to energy, infrastructure and the delivery of essential services. The theme of the book encompasses issues of human, political, military, socio-economic, environmental and energy security and raises two main questions. 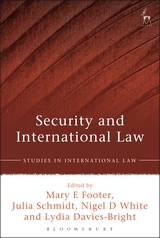 To what extent can international law address the types of natural and man-made security risks and challenges that threaten our livelihood, or very existence, in the twenty-first century? 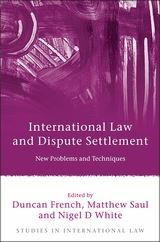 Where does international law fall short in meeting the problems that arise in different situations of insecurity and how should such shortcomings be addressed? 9. Terrorism: A Threat to Security? 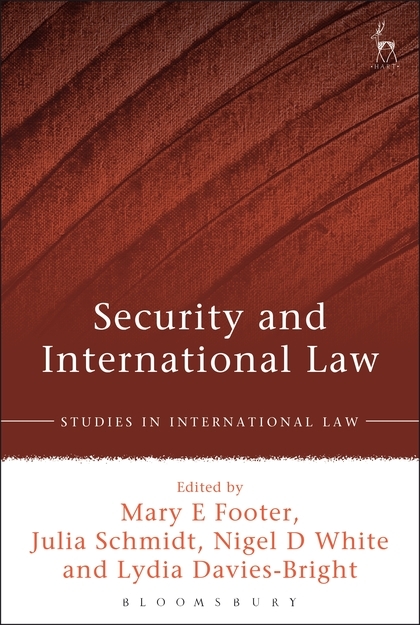 Mary E Footer is Professor of International Economic Law at the University of Nottingham. 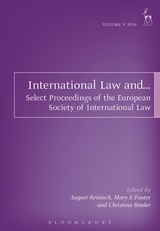 Julia Schmidt is a Lecturer in Law at the University of Exeter, formerly Research Fellow in the School of Law at the University of Nottingham. 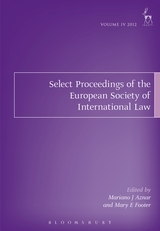 Nigel D White is Professor of Public International Law at the University of Nottingham. Lydia Davies-Bright is a PhD student in the School of Law at the University of Nottingham.